Florida Permit Test Q&As: More than 30% of drivers between the ages of 15 and 20 who were killed in a motor vehicle crashes had been drinking. 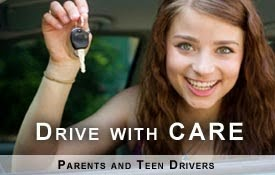 More than 30% of drivers between the ages of 15 and 20 who were killed in a motor vehicle crashes had been drinking. Question: True or False: More than 30% of drivers between the ages of 15 and 20 who were killed in a motor vehicle crashes had been drinking.